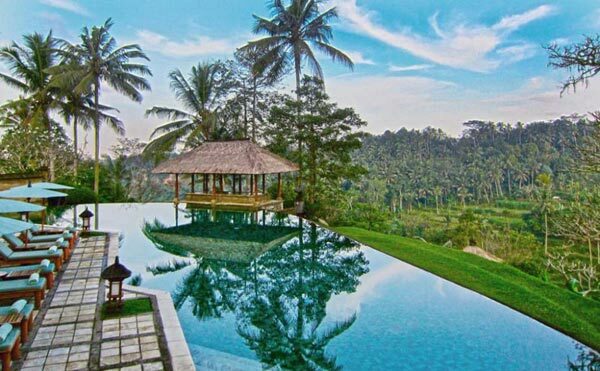 05 Nights stay at Bali on Twin share. 05 Buffet Breakfasts at Hotel in Bali. 03 Full Day Tour with English Speaking Tour Guide. Arrival at Bali Airport Meet Unique Tour Manager/ Tour Guide outside of Custom Area Who will Transfer You Hotel, in the evening on 6PM Will pick up at lobby hotel proceed to Dinner at Indian Restaurant. 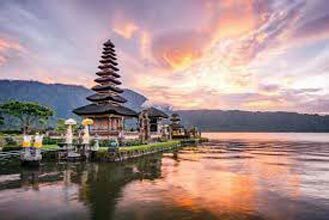 After breakfast on 08AM will pick up at lobby hotel then proceed to Fullday Barong Kintamani tour ( 8 Hours ).The highlight of this tour is the magnificent view of Mount and Lake Batur with the smoky Agung Volcano in the background. Enroute stops at Singapadu Village to see the Barong & Keris Dance performance, The holy spring of Tirta Empul at Tampak Siring, Coffee and Cacao Plantation at Madu Pertiwi Agro Tourism, Lunch Will Provide at Local Restaurant In Kintamani area and Dinner will provide at Indian Restaurant , then Back to the hotel. After Breakfast on 09.00AM Will pick up at lobby hotel proceed to Bedugul tour ( Ulundanu Temple ). This temple is located on Beraton Lake in Bedugul Area, in the northwestern part of Bali. The weather in this area is so cool and fresh, with the beautiful scenery surrounding this area. Ulundanu Temple is dedicated to the Goddness of serene Lake Beratan, as a manifestation of Brahman as Wisnu, the preserver. Lunch Will Provide at Local Restaurant only in Bedugul area since there is no Indian Restaurant available , Then drive to Tanah Lot Sunset tour. Tanah Lot Temple one of the most popular places of interest in Bali. It is also called Tanah Let which means ancient land and also Tanah Lod, which means the land to the south. The temple Pura Tanah Lot, simple in its construction, is dramatic in its ocean-front location and is one of the main temples in the worship of Balinese Gods, Dinner will provide at Indian Restaurant then back to the hotel. After Breakfast free Program at your Leisure, on 10.00AM will pick up at lobby hotel then proceed for Shopping to Traditional Market or Bali Shopping Mall , Lunch on Personal Expenses then back to the hotel , On 03.30PM Will pick up at lobby hotel then proceed to Halfday Sunset Dinner Cruise with transfers on SIC . There’s no better way to spend a balmy tropical evening than on Bali Hai’s evening Dinner Cruise. As the sun goes down we set off on a relaxing cruise around the harbour. Take in the cool night air on the top desk, be entertained by our live musical entertainers at the bridge deck, savour a delicious international buffet dinner, then dance the night away at our disco or enjoy our live cabaret show.